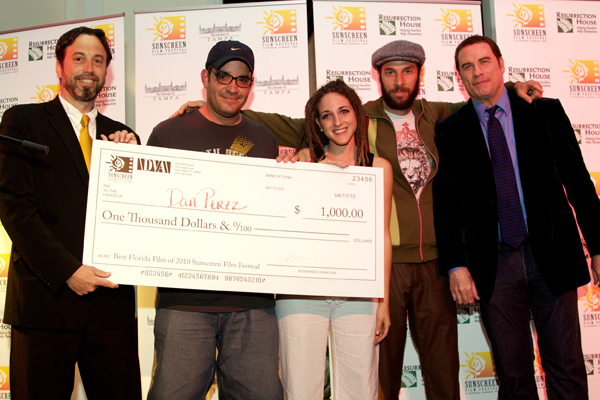 The Sunscreen Film Festival has awarded South Florida filmmaker Dan Perez with it’s “Best Florida Film” award for his feature length documentary film “P.A.T.H.” The award, which carries a $1,000 cash prize, was presented by John Travolta, who has been a supporter of the festival since its inception. 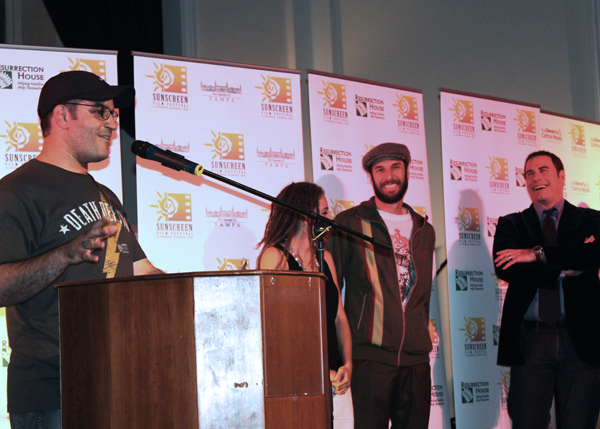 Dan was joined on stage by Miami hip-hop artist and P.A.T.H. 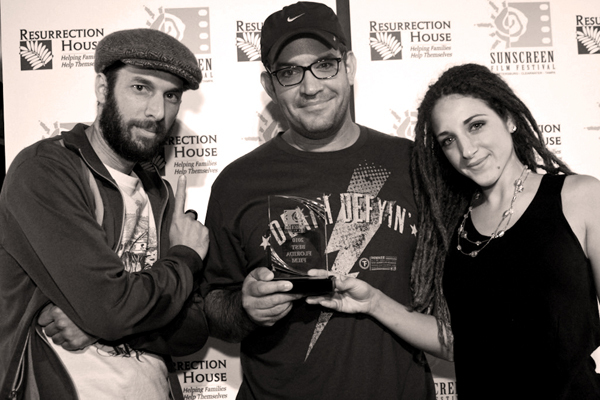 founder, Brimstone127 (who also scored the film and Amit Regev, who shared cinematographer duties with Dan Perez.